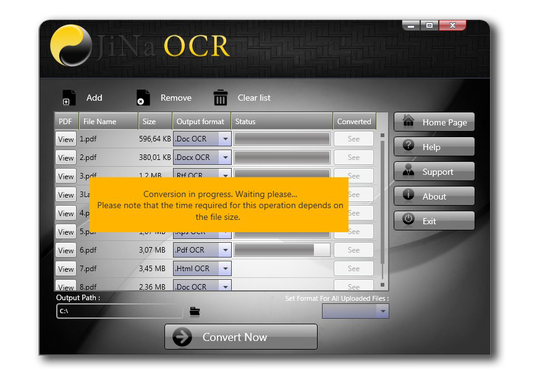 Industry Leading OCR Converter JiNa OCR V 1.5.0 Is now available. JiNa OCR is a one of the most sophisticated OCR software packages on the market, specifically designed for ease of integration with all of your ocr needs.We're certain that no other OCR software has been put through the same rigorous and innovative development process. You can download and test it now!